SUNDAY NIGHT UPDATE FOR MONDAY MORNING!!! 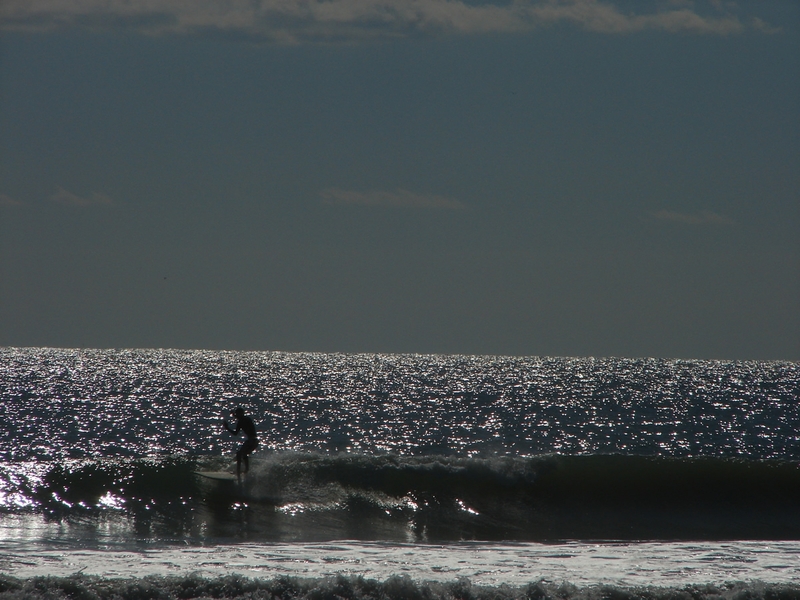 Still looks like glass, nice lines, however the size I will downgrade as of 10:00 PM tonight (Sunday). 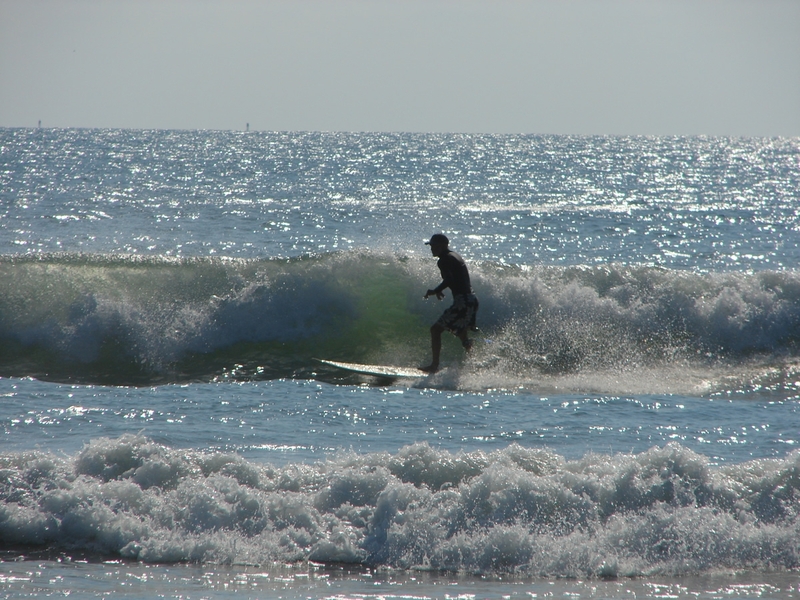 I am calling thigh to waist high glass at the Cape, and waist to rib high down South, with 4 to 7 mph SSW winds. So it should be glassy South of Minuteman causeway, and semi-glass North of it. But………..the winds will probably turn SW for an hour or two, which means glass for everyone, but we will see. If it stays light SSW, it will be fun everywhere. 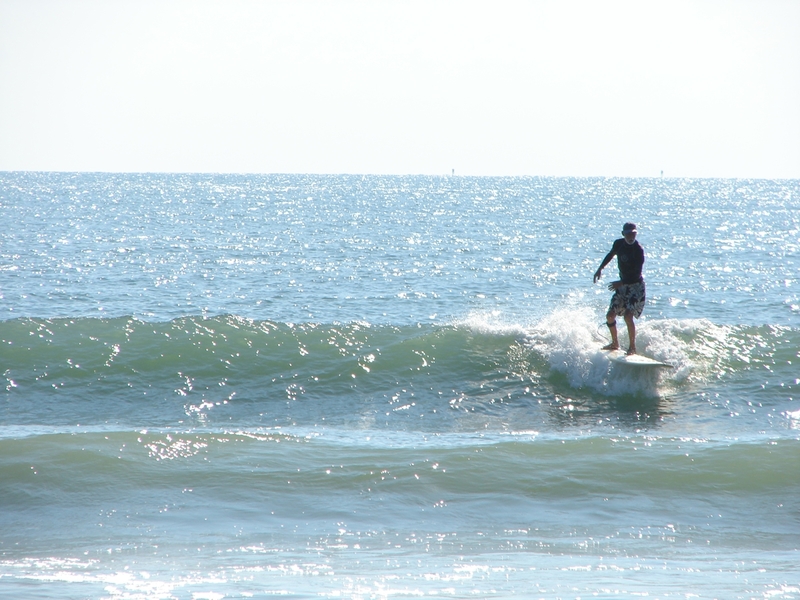 Either way, have fun an enjoy the Summer Swell! The ground swell actually just started to hit the 120 mile buoy at 11 AM this morning, so it was definitely delayed by a good 6 hours maybe. 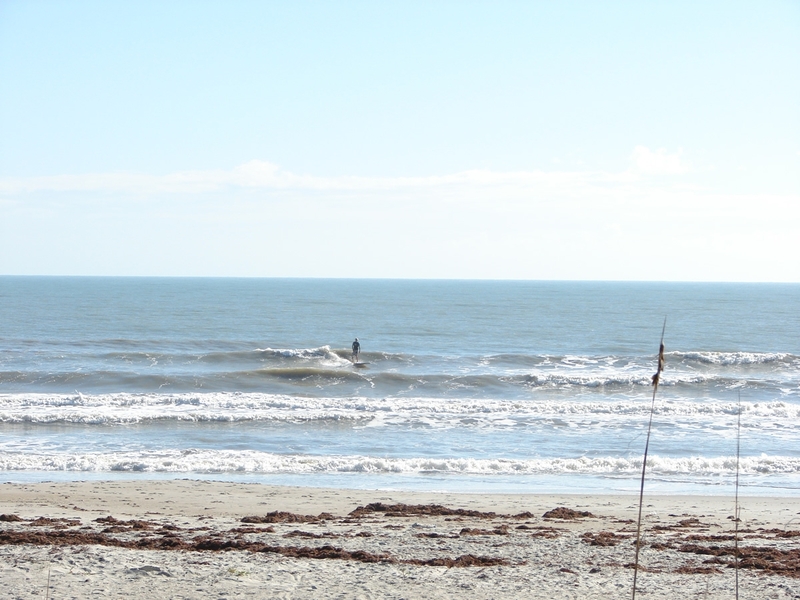 So the surf we saw this morning, even though it showed 3.5 feet at 9 seconds on Seaweed (the 20 mile buoy is down, so it’s real hard to tell), but my guess is it was 2 foot at 8 seconds. I do believe that we will have solid waist to rib lines at the Cape Monday morning, and chest high or better in Satellite Beach. The winds are showing South to SSW for daybreak until 11 ish, in the 4 to 6 mph range. 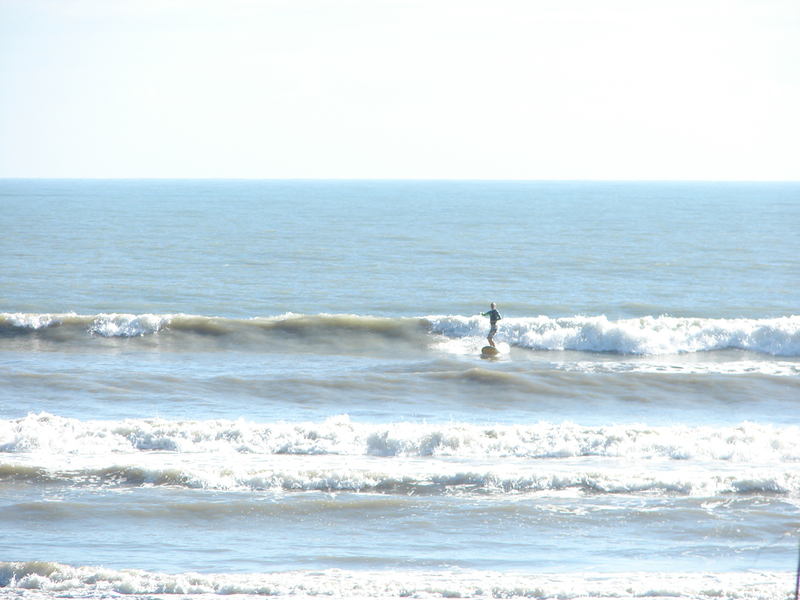 I suspect that they will turn SW for an hour or two, but don’t wait until 10 AM to paddle out. 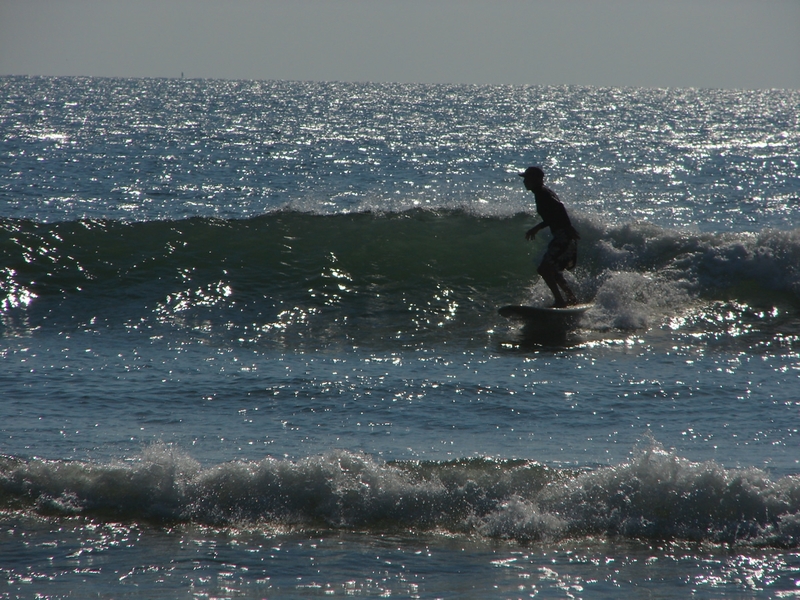 High tide will be going low which is perfect around 6:10 AM, so an 8 or 9 AM paddle out should be the best time. Tuesday appears to have some size leftovers with a slight drop, probably thigh to chest, North to South, and also offshore winds. Get it while it Rocks! 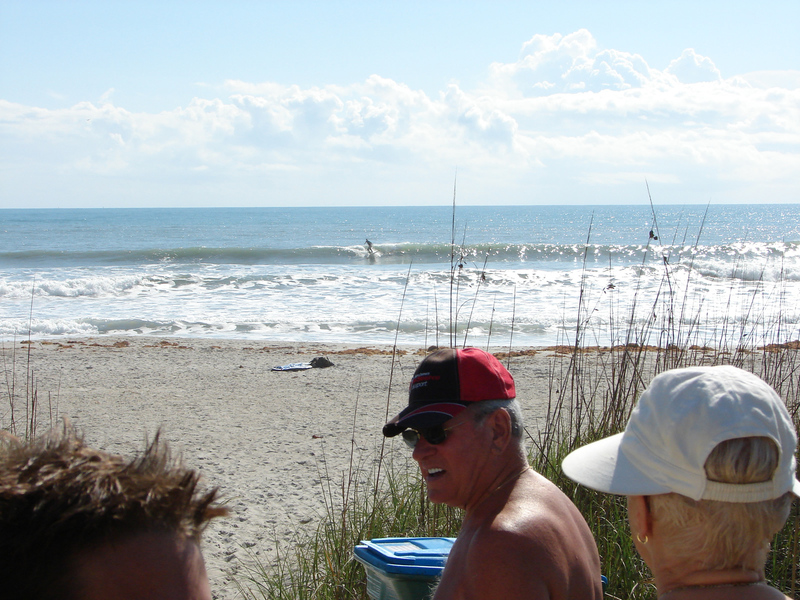 Posted: March 14, 2012 in A summary of How the Waves were, All The People and the Surfers, Brevard Surf Predictions Cape Canaveral, Cocoa Beach and Satellite Beach, Brevard Surfing Photos - general swells, John L.
SCROLL BELOW THE SLIDESHOW IF YOU WANT TO SEE THE FULL SIZE IMAGES, CLICK ONCE TO OPEN, AND IF YOUR MOUSE SHOWS A + (plus symbol), click again, I have them at 1800 pixels wide (20 inch wide photos on a PC), since they are zoomed out to much. Dr. John, taking advantage of a nice line, and no intruders 🙂 on a classic Johnson Avenue day. Image 1 of 6 in sequence. 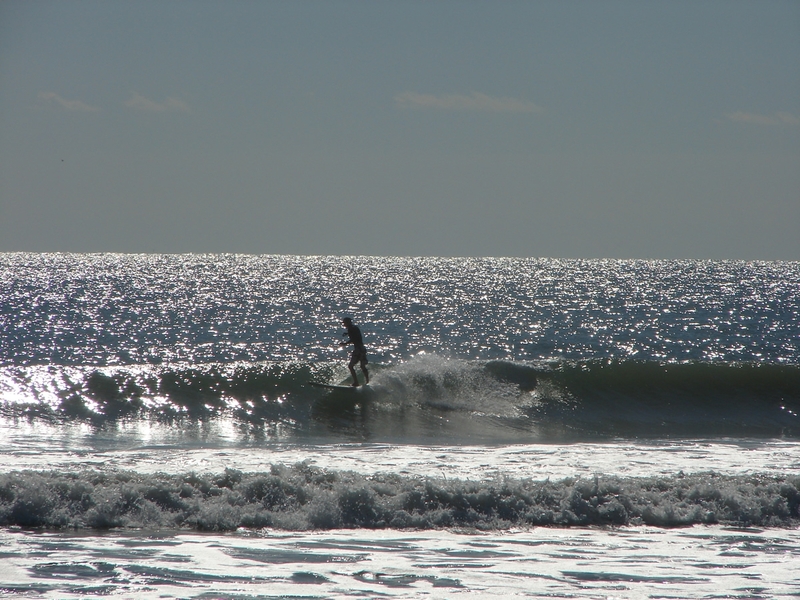 Tuesday, I did a late 3:30 PM session in Satellite Beach, and even with 12 to maybe 15 mph onshore winds, there were some very fun lines/peaks coming in. 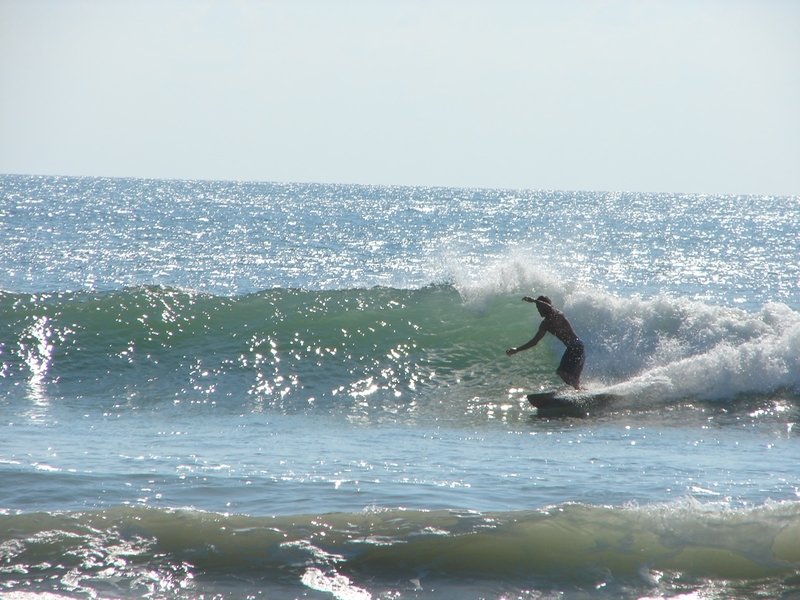 The waves were 3 to 4 foot backs, so an occasional head high face did roll thru. 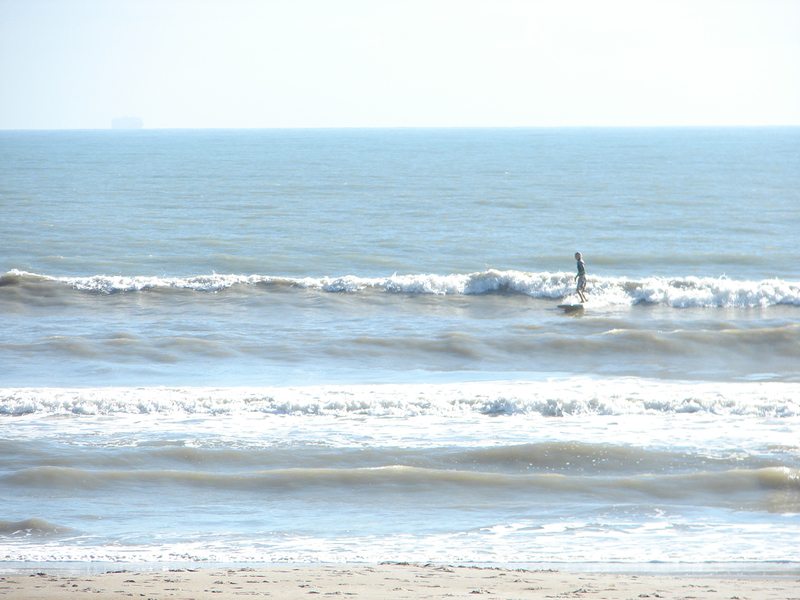 It was past mid-tide high going low, and only 3 of us out, sunny and a great session. 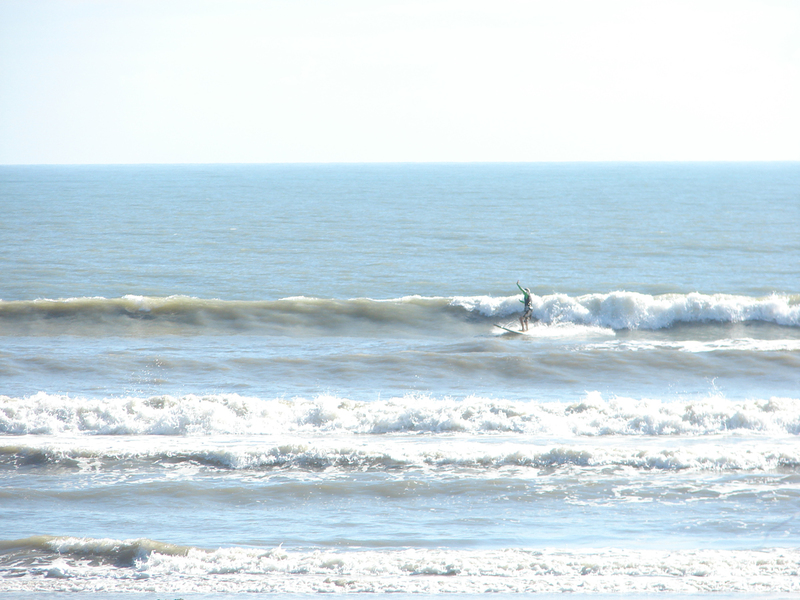 Thursday we still have some punch left with our 9 to 10 second period 4.5 foot swell all of the day. Image 4 of 6 sequence. I took the photos from around 8:30 until 10 or so. days, but do to the weaker swell, the right time of tides will be a lot more important than the strong swell we have thru Thursday (tommorrow). 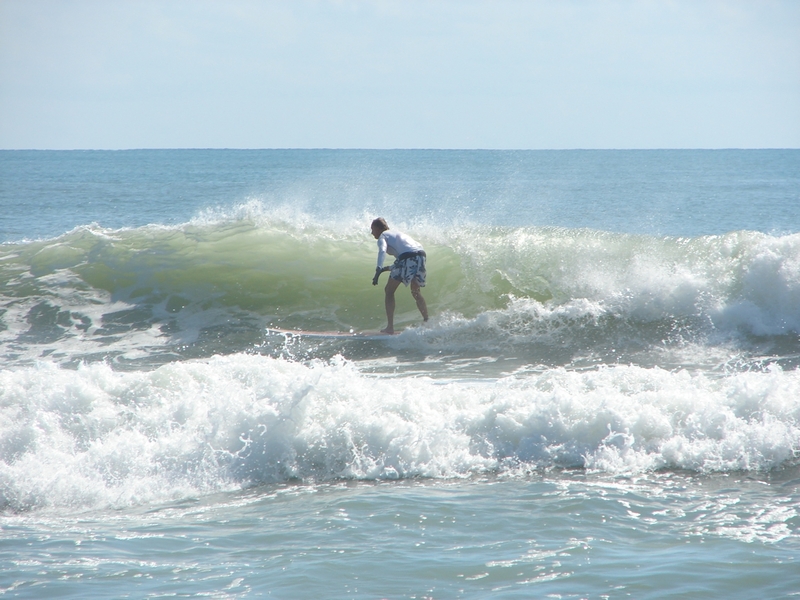 It still should be thigh high here at the Cape and waist high down South in Satellite Beach. Winds Friday, 6 to 8 mph ENE climbing toward 10 to 12 mph East by late afternoon. I still don’t see any offshore days in the picture, so just like this week, I didn’t jump on the Surf Report binge too hard knowing that everyone new we’d have waves, but no “epic” day in sight if you will. The were definitely some 60 to an occassional 100 yard rides available. Image 6 of 6, Dr. John enjoying a great session. 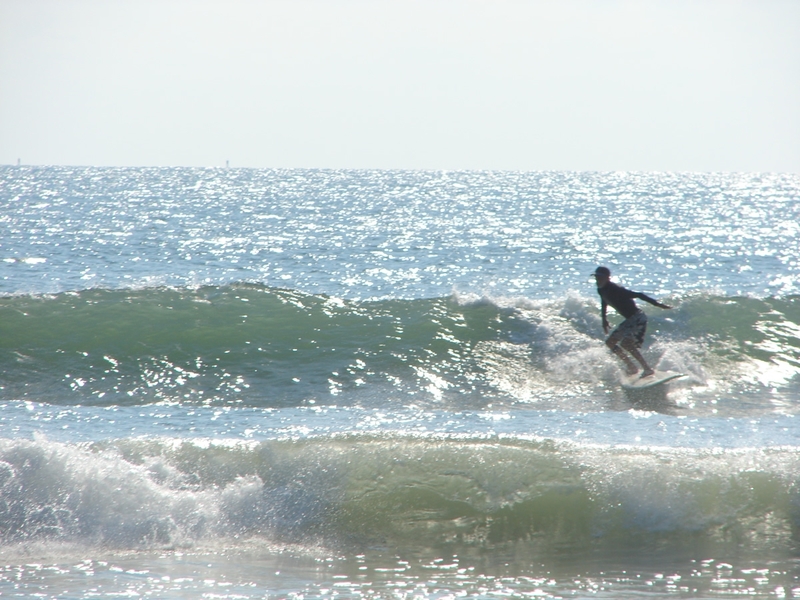 The photos here are on a nice wave and ride of Dr. John, from our awesome chest high day Saturday, March 10th, when the whole neighborhood was out surfing, at some time or another. 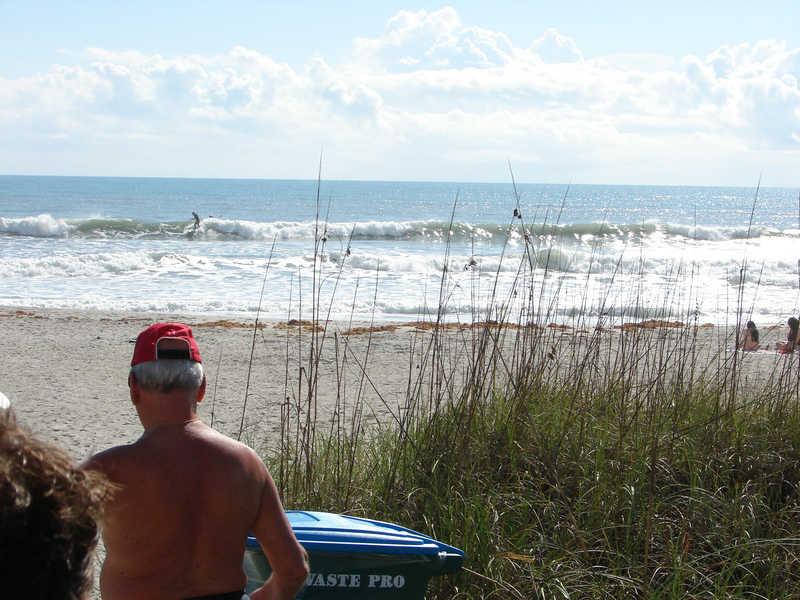 SUNDAY MORNING UPDATE AT 8:30 AM; THE SMALL INCOMING SWELL WAS 3.5 FT AT 11 SECONDS AT THE 120, BUT……….it stopped coming in at 11 PM last night (Saturday night), which means about 8 or 9 hours travel time to our beaches, so it was here at maybe 8 AM, and then dropped to 2.5 ft at 10 seconds at the 120 at Midnight which is not the minimum we need for a swell to hit the beach. 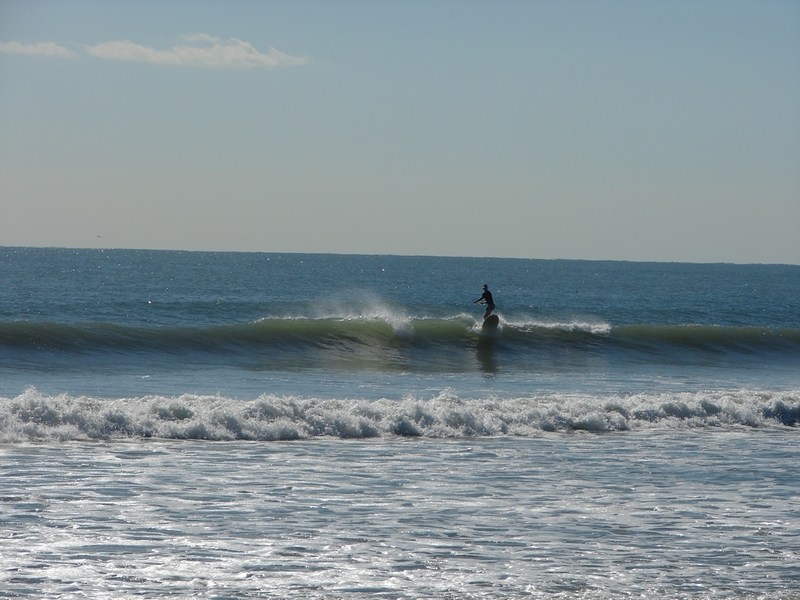 We need about 2.6 to 3 feet at 10 or 11 seconds to get a ground swell that is ridable here (Ross at CFL surf figured that one out). Sorry folks, no waves. 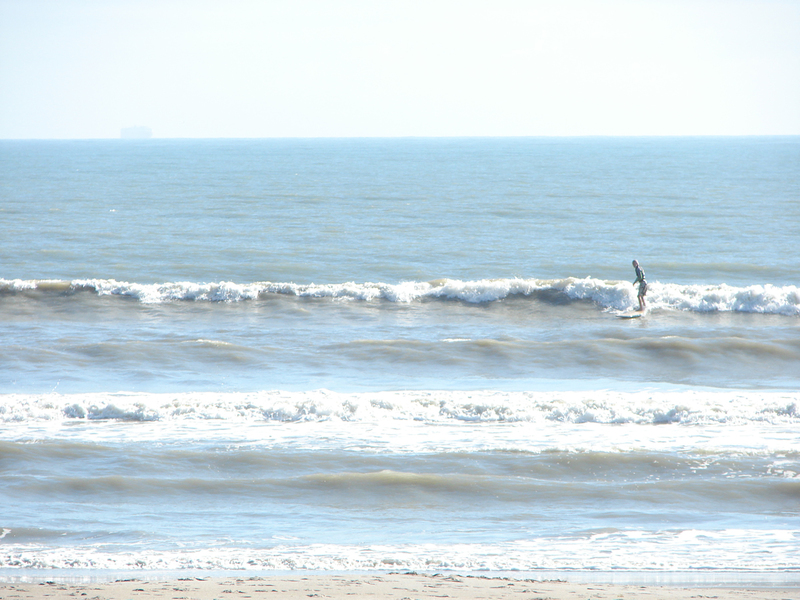 Maybe a ripple for SUP’s and big long boards when the tide gets lower, but the winds turn onshore by noon. But have a great Sunday anyhow with the nice weather 🙂 Back to Friday nights update post below……..
Big, No. ……….Possibly fun and rideable, yeah 🙂 Tonight an Easterly Swell is creeping in and kicking out the steep NE swell we’ve had. 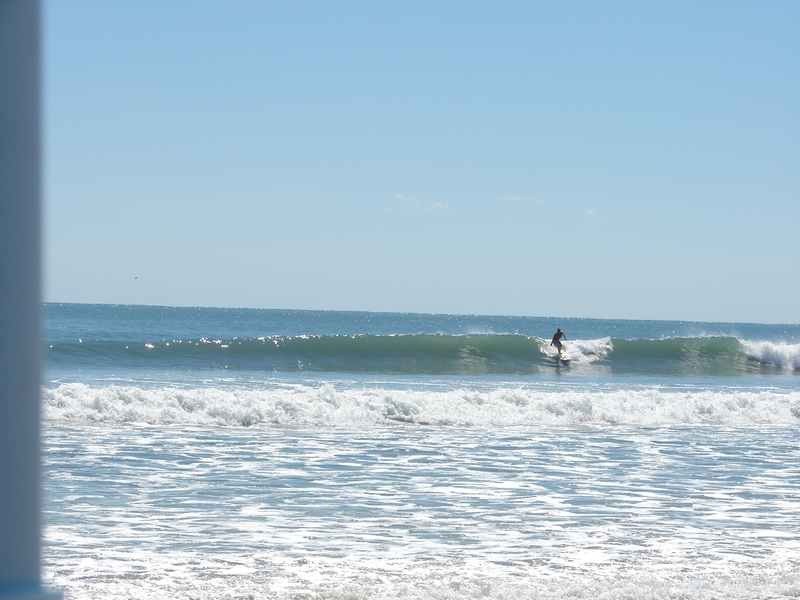 Thursday was great, waist high plus in Satellite, perfect glass, light 5 to 7 offshore winds. It was even comfortable without any suit. 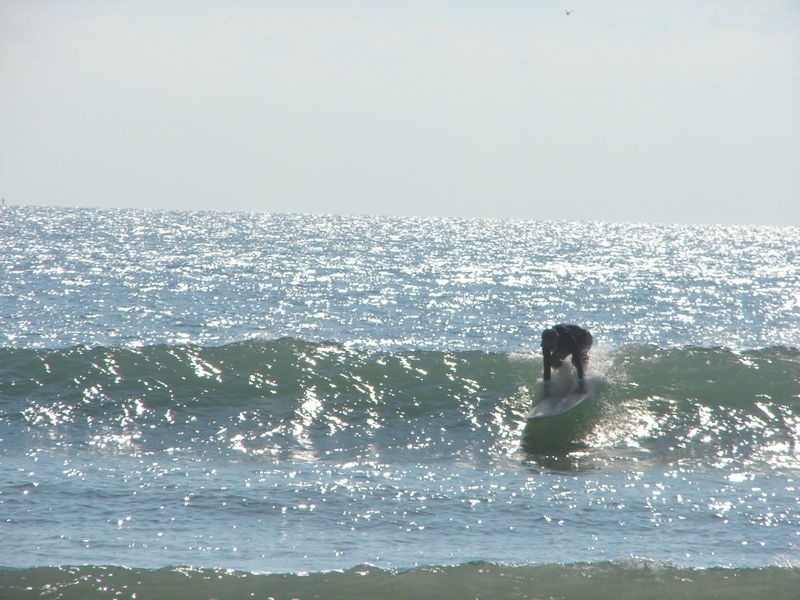 Yeah, I did have a rash guard on and it was 1:00 and a nice 60 degrees, so yeah that did help. 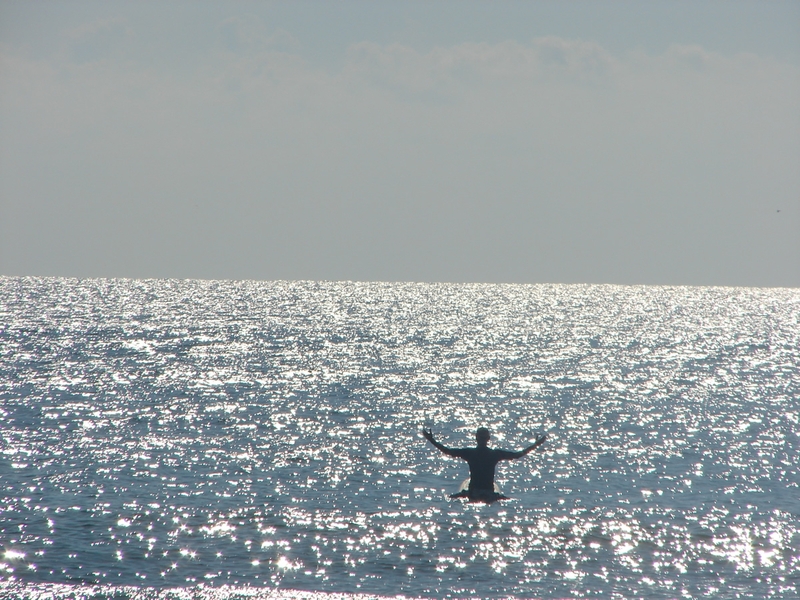 here at the Cape, pick your spot in Satellite at mid-tide high going low and you should have some waist high long lines somewhere.It will be 52 at daybreak, but by 9 AM sunny and 60 ° , so if you don’t want the suit to bog ya down, it will be rash guard-able. but……………………….., it will turn onshore by Noon or earlier. So if you’re gonna do Church, do it at 8, and be in the water by 9:30. 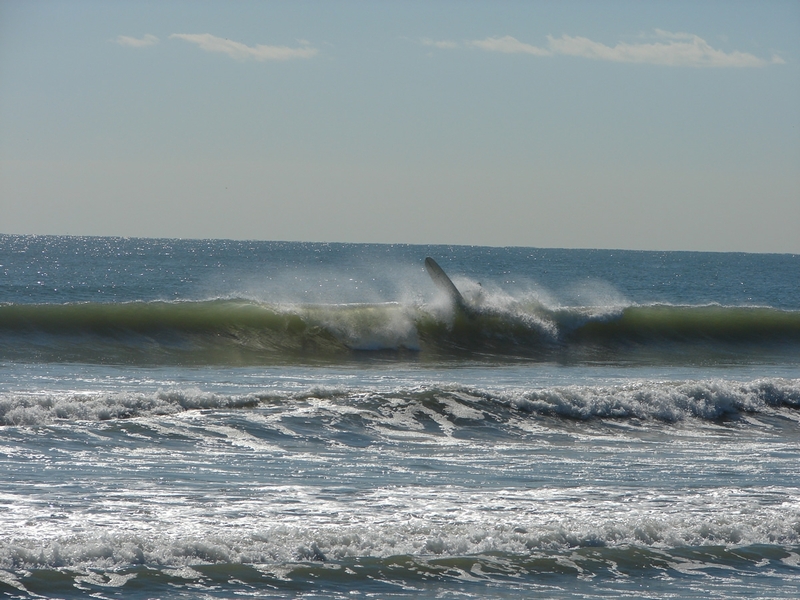 May have some rib high waves down South and maybe some thigh high at the Cape. talent, Vendors, and ya may meet your future companion, hey whatever ! 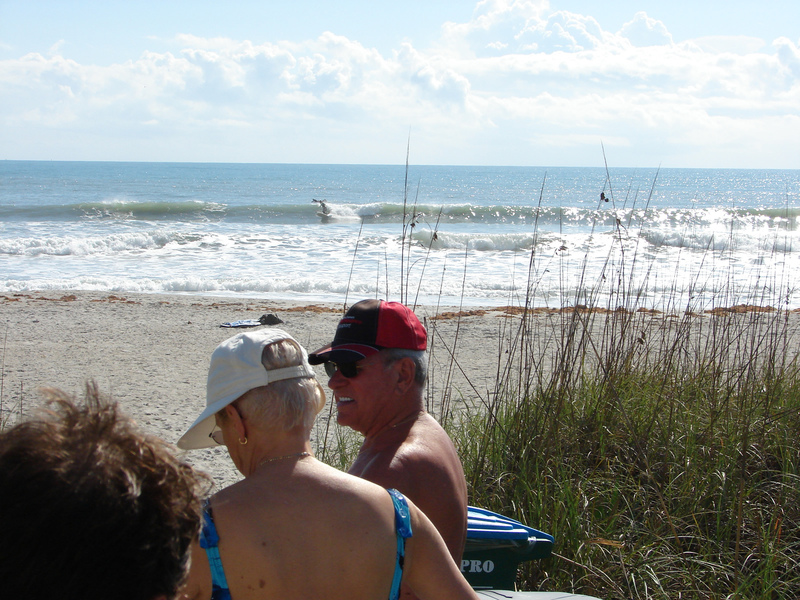 Posted: December 23, 2011 in A summary of How the Waves were, All The People and the Surfers, Brevard Surf Predictions Cape Canaveral, Cocoa Beach and Satellite Beach, Brevard Surfing Photos - general swells, John L.
Today, or this morning looks really fun, and by late afternoon we have a new possible Christmas Day swell starting to push in. 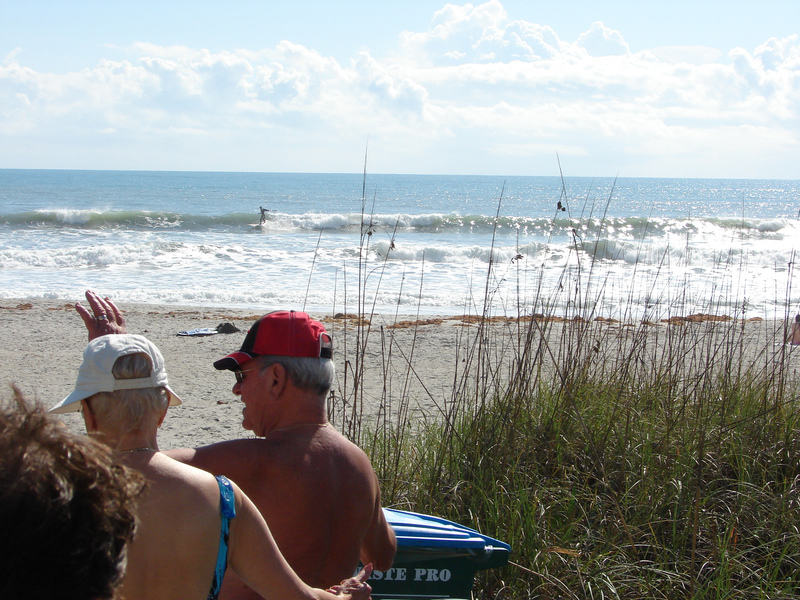 The swell is coming mostly from the East, so I don’t think we’ll get blocked out. 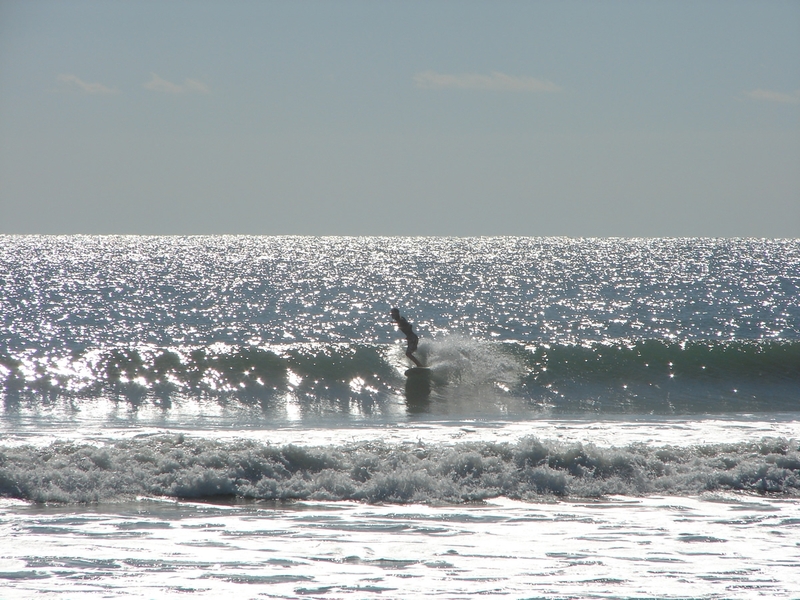 We may even get lucky with the new swell hitting by 1 or 2 PM and have the winds still a little offshore. 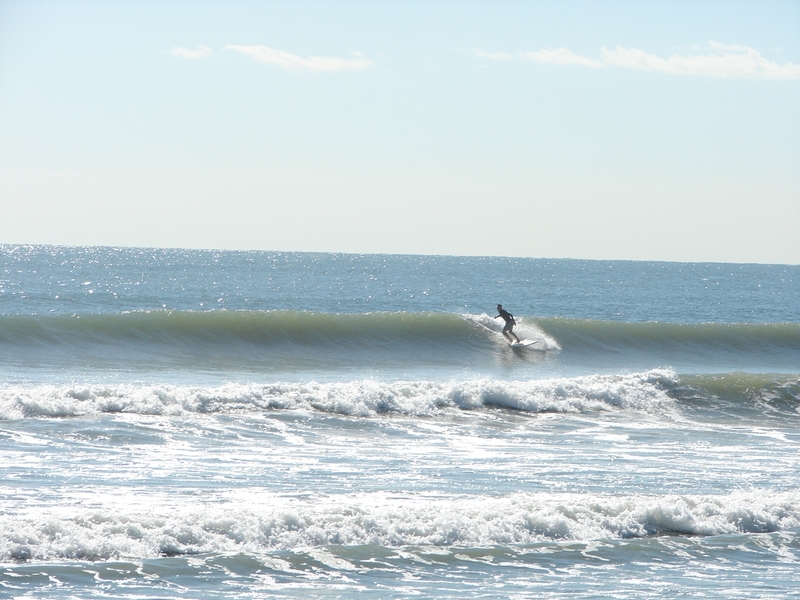 It’s SSW winds here at the Cape, yeah, kinda sideshore w a little offshore, but still looks really clean. 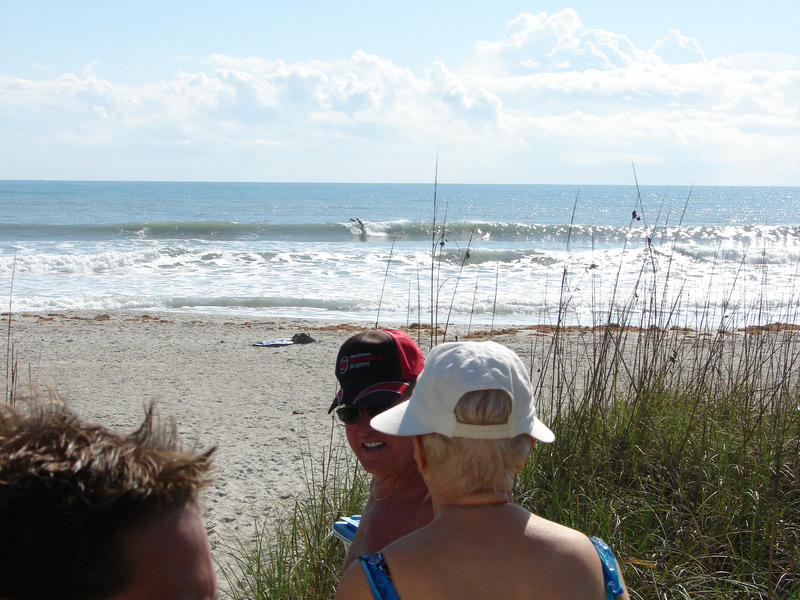 By afternoon anyhow, we ought to see some waist high plus waves. This was one of the bigger waves of the session, the lip tried to take control, but the rider would not give in 🙂 Image 1 of 7 in sequence. 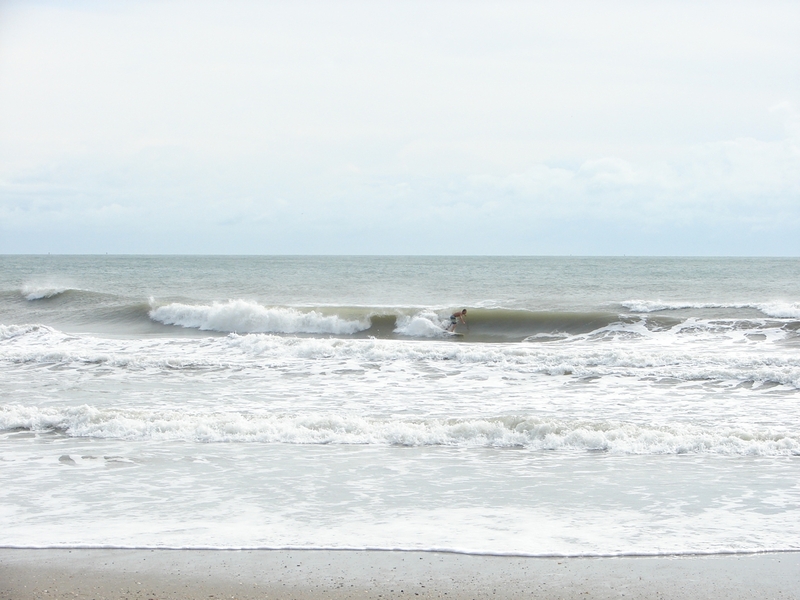 Knee to thigh high swell on Johnson Avenue, December 23 2011, Photos by Oldwaverider. Image 6 of 7 shot sequence. A fun, clean J-Avenue morning. Christmas Day Sunday also ought to have something rideable for us, the winds we’ll have to wait and check tonight, but as it stands, it looks to be very light onshore for Sunday AM, around 7 mph SE at daybreak. 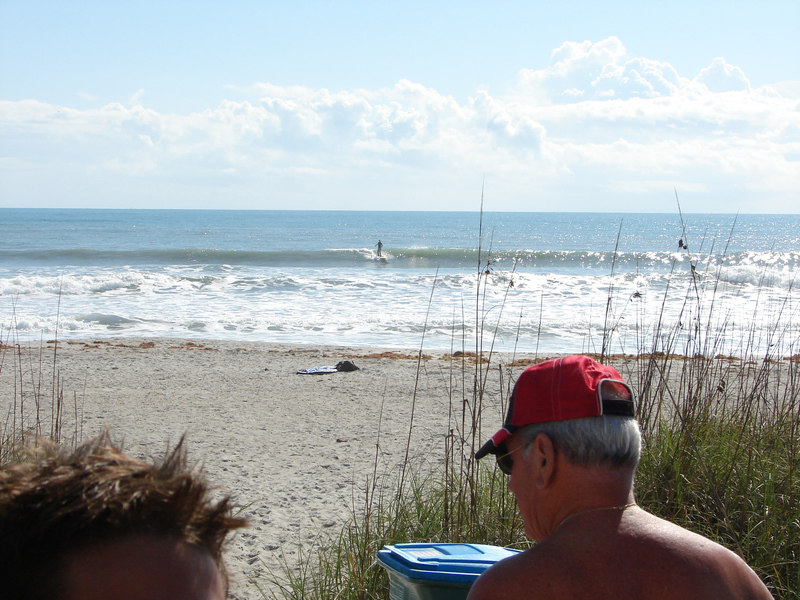 Posted: October 2, 2011 in A summary of How the Waves were, All The People and the Surfers, Brevard Huge Swell and Hurricane Photos, Brevard Surfing Photos - general swells, John L., Miscellaneous Videos, galleries, etc. Full size images below if you want to click on them and see full screen. 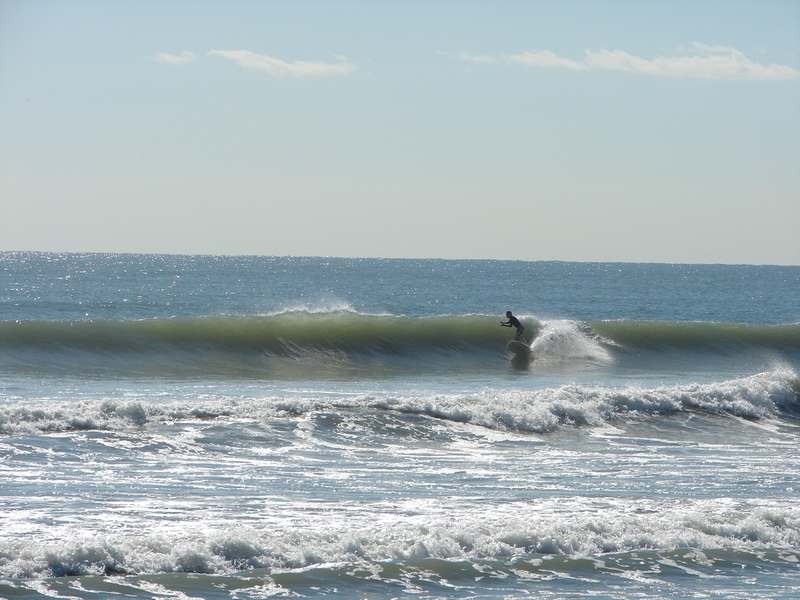 Anyhow, our Surf Report yesterday said we had a stomach to shoulder high depending on the spot, and I would say we had waist to chest high at the Cape today, with some shoulder high drops. 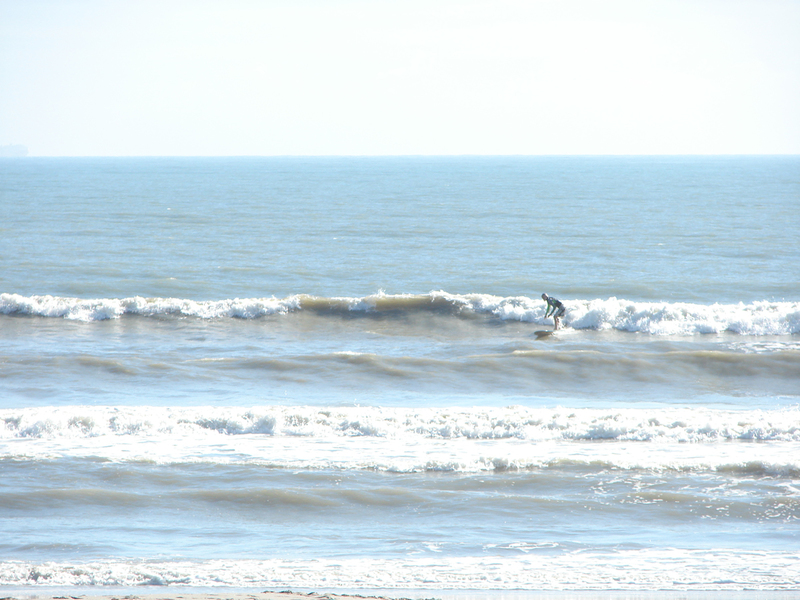 Probably a foot or two bigger down south, but anyone will tell you, these waves were really nice. There were quite a few people out, though a lot of faces I didn’t recognize, except Dr. John. 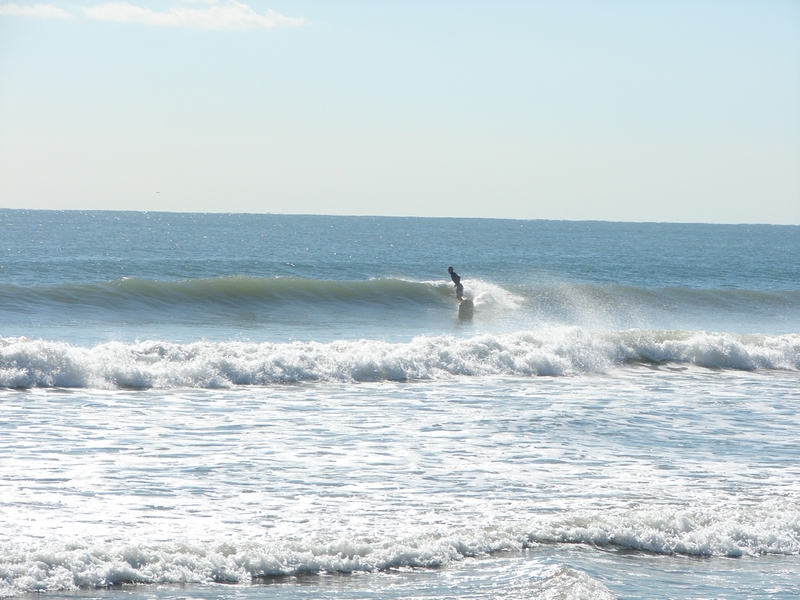 I took shots at 10 AM and then came back after church at 12 PM, and man, the size kicked up 1 to 2 feet on the face size, the shoulders were holding up a little better, but both sessions were really nice for a glassy wave, beautiful sunny, cool day at the Cape on Johnson Ave. Anyhow, enjoy the pics of John, and in the next few days, I’ll be posting some more pictures of some unknown faces, including the Gator Girl (who wore orange and blue, and she looked athletic, she got some really killer rides). 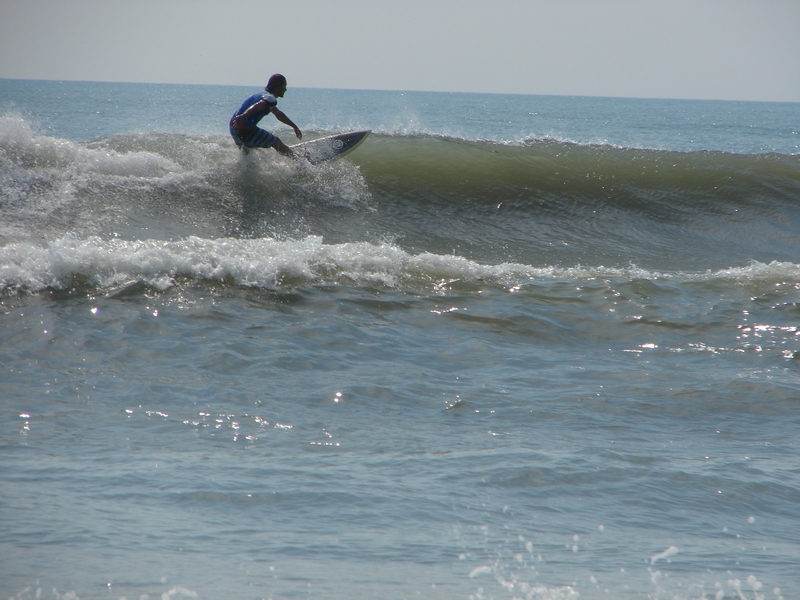 Beautiful waves, and a lot of closeouts. Image 3 of 3 shot sequence. 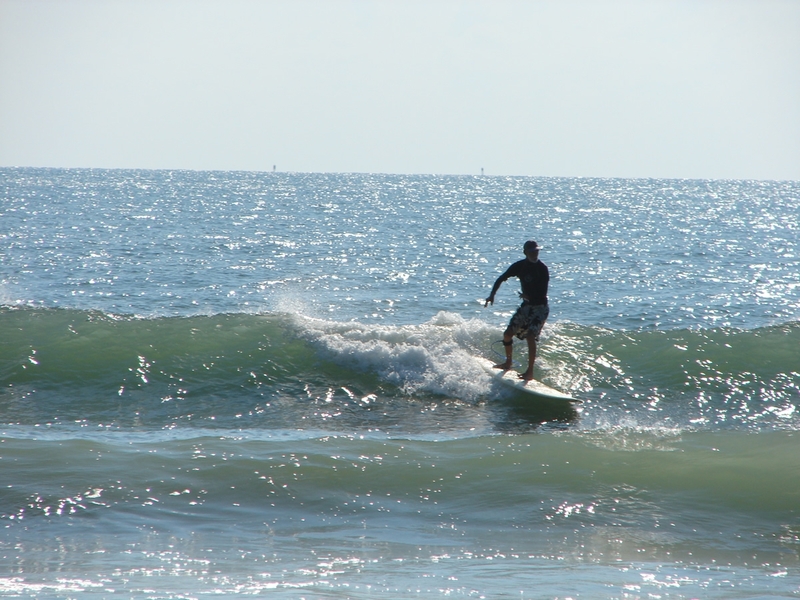 Dr. John enjoyed the sweet spot of this wave before taking his exit. This gem seemed to hold up for the duration:) Image 3 of 3 shot sequence. 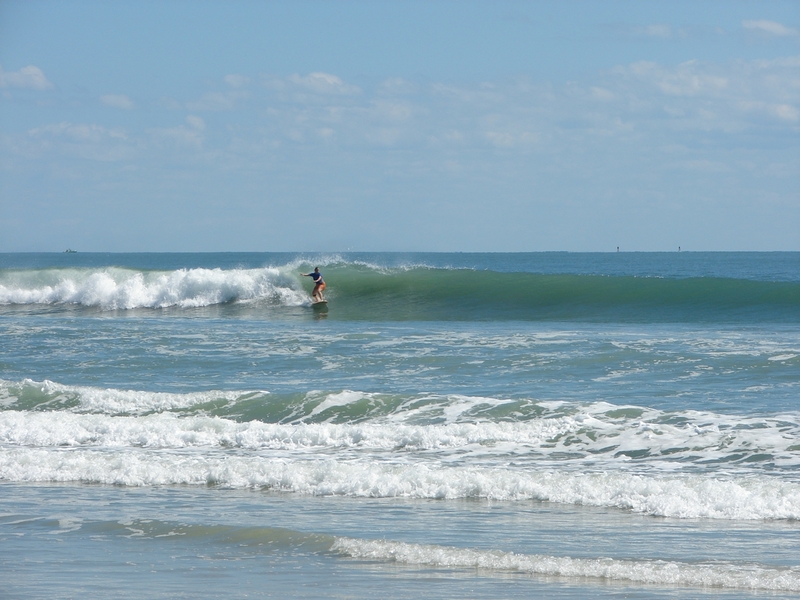 Posted: September 21, 2011 in A summary of How the Waves were, All The People and the Surfers, Brevard Surf Predictions Cape Canaveral, Cocoa Beach and Satellite Beach, Brevard Surfing Photos - general swells, John L., Miscellaneous Videos, galleries, etc. WE HAVE MORE WAVES COMING! … I’ll give the update down below after a couple words about the photos here. 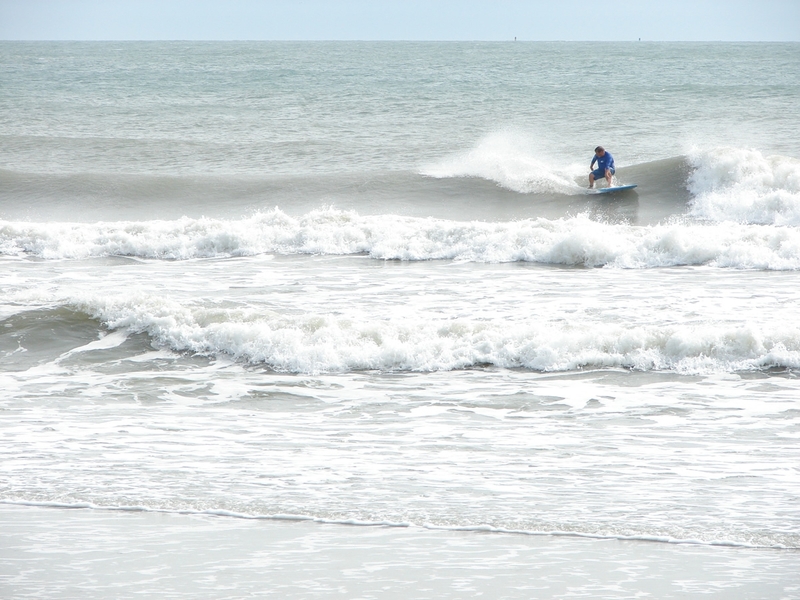 The first actual day of Tropical Storm Maria brought some pretty fun thigh to waist high waves around the Cape and Johnson. I got out late, did a quick sesh, and then wanted to get some pics of Dr. John and some others. 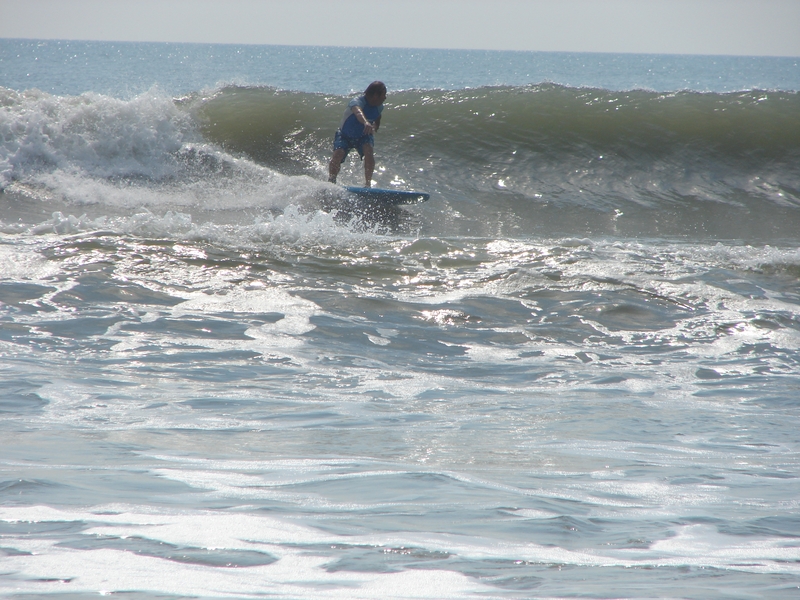 Dr. John was having a good day, with both great lefts and rights to even out the morning. 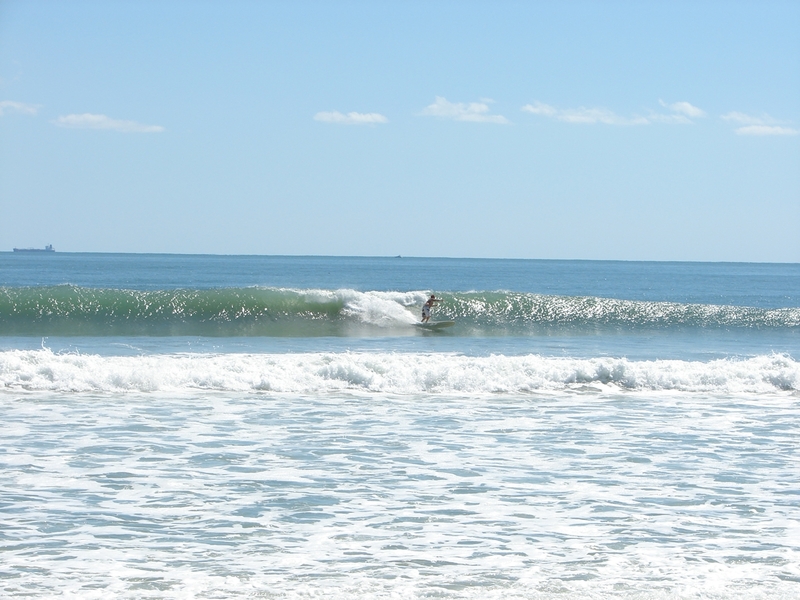 Friday surf is the first day I’ll talk about. 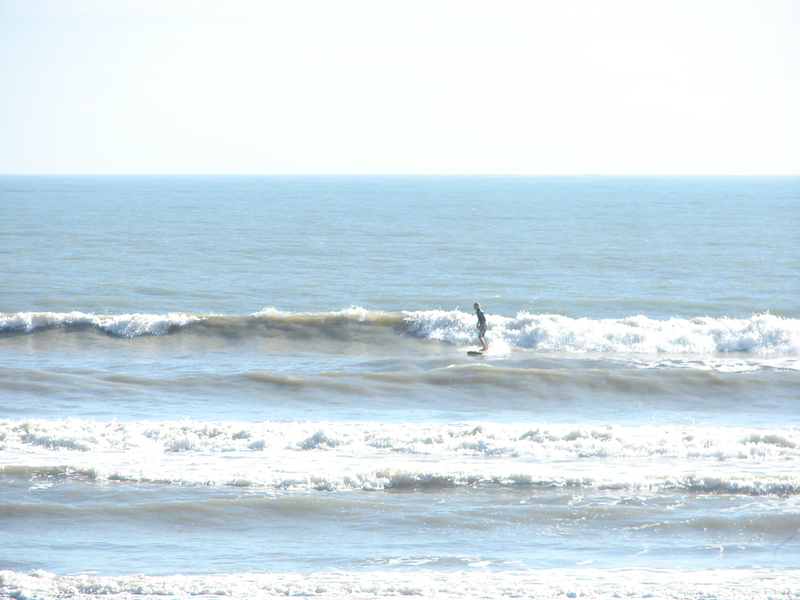 Thursday, small wind chop, go south if you want waist high or bigger chop. Save your energy. Friday, may get a small additional push of a SE swell, very small push, but…it could very well be waist to some chest high sets depending on where you go. The wind should be West , 4 to 6 mph at daybreak switching to SW before Noon, and then onshore. Could be a fun day, maybe not much power, but a fun morning sesh. Saturday and Sunday may be similar to Friday. 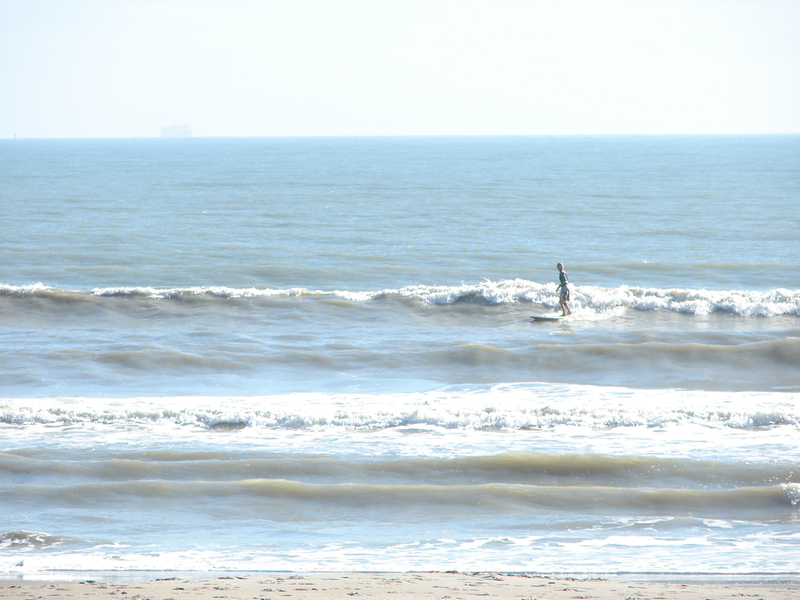 Offshore in the morning, remants of a lingering wind, non-ground swell. I could be way off base thinking this little wind swell that came down as a NE’ster could be hanging like this, but it seems to be coupling up with a little SE swell being pushed ahead of Tropical Storm Ophelia. It’s not actually part of Ophelia, but it seems to be keeping a constant low pressure working out there just enough to push in some mild wind swell waves. Sunday, late, TS Ophelia, starts really making it’s push from the SE, and should be around 1000 miles East/Southeast of Miami by Monday afternoon. Sunday may have some weird waves from both swells, with offshore winds so it could be fun for most of the day. Monday morning, could be chest high plus down South, and maybe waist plus at the Cape with offshore winds in the morning until maybe mid-morning. BUT…WINDS ARE IFFY THIS FAR OUT TRYING TO CALL, UNTIL WE ARE 48 HOURS BEFORE THE DAY OF SURF, AND THEN THEY ARE ONLY ABOUT 80% ACCURATE! 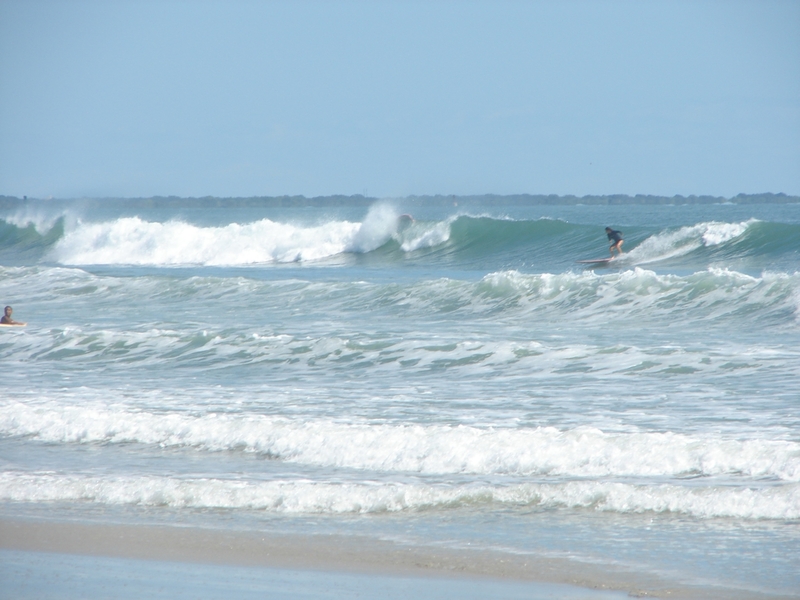 Tuesday could be some shoulder to head high waves and possibly Wednesday. This all could change easily, but I just wanted to share what the models are showing right now. Image 2 of 3 shot sequence. Tropical Storm Maria Day one at the Cape. Image 3 of 3 shot sequence. Tropical Storm Maria Day one at the Cape. We’ll stop there. Ophelia as the models show right now, may never become a Cane, but it could give us the same beautiful waves that Maria did. Keep your fingers and prayers up for a good day Friday, and then especially Monday and Tuesday.